The Puthenkûr community came under the influence of the British missionaries in the 19th century. From 1815 till 1836, the year of the Synod of Mavelikara, the British missionaries propagated Protestant ideology among the Puthenkûttukar. This paved the way to the formation of the Mar Thoma Church under the leadership of Palakunnath Abraham Malpan and Mar Athanasios, who was consecrated Bishop by the Patriarch of Antioch. In order to outdo the reformists Mar Divannasios approached the Patriarch of Antioch. Patriarch Peter III arrived in Malankara and in the Synod of Mulanthuruthy (1876) the Malankara Church had to accept the authority of the Patriarch of Antioch over this Church. Since then, the Malankara Church had contented that the Patriarch’s authority was only in spiritual matters. Most Rev. Benedict Mar Gregorios was enthroned as the Metropolitan-Archbishop of Trivandrum and the Head of the Syro-Malankara Catholic Church on 27 January 1955. Under the spiritual renewal, the pastoral guidance and the social commitment of Archbishop Benedict Mar Gregorios, the Church began to flourish in its various dimensions. The Holy See appointed Zacharias Mar Athanasios as the successor of Joseph Mar Severios, whose episcopal ordination took place on 22 April 1954. His Excellency Most Rev. Jacob Mar Theophilos was called to eternal rest on 27 June 1956. The mortal remains of His Excellency was entombed in St. John’s Cathedral, Tiruvalla. The Congregation of the Sisters of Imitation of Christ (Bethany Sisters), a religious congregation for women founded by Archbishop Mar Ivanios was raised to the Pontifical status on 6 August 1956. Attracted by the Liturgy of the Syro-Malankara Catholic Church, Fr. Francis Acharya, a Cistercian Monk from Belgium came to the Eparchy of Tiruvalla. In the year 1957 he founded in the Syro-Malankara Catholic Church, theKristiya Sanyasa Samaj (KSS), commonly called Kurisumala Ashram in the high ranges of Vagamon in Kerala. The Syro-Malankara Catholic Church has been steadily growing and spreading throughout all the States in South India. On 14 February 1958 through the letter (Prot.No.534/53) of the Congregation of the Oriental Churches, the territorial boundaries of the Eparchy of Tiruvalla was extended to the north including the Malabar region of Kerala, the civil districts of Coimbatore and Nilgiris and Karoor Taluk in Tiruchirappally District of Tamil Nadu and districts of Mysore, Mandya, Coorg, Hasan, Chickamangalore, Shimoga and South Kanara of Karnataka State. Zacharias Mar Athanasios was called to eternal rest on 28 September 1977. The mortal remains of His Excellency was entombed in St. John’s Cathedral, Tiruvalla. His Excellency Most Rev. Paulos Mar Philoxenos, the Metropolitan of the Malabar Independent Church (Thozhiyoor), was received into the Syro-Malankara Catholic Church on 28 August 1977. He was appointed Episcopal Vicar of the Archieparchy of Trivandrum. Upon the request of His Excellency Zacharias Mar Athanasios His Holiness Pope John Paul II on 28 October 1978, by the decree dated 12 October 1978 separating the civil districts of Malapuram, Kozhikkode and Kannoor of Kerala, Nilgris of Tamil Nadu and Coorg, Mysore, Mandya, Hassan, South Kanara, Chickamanglore, and Shimoga of Karnataka from the Eparchy of Tiruvalla, erected the new Eparchy of Bathery and appointed Very Rev. Dr. Cyril Malancharuvil OIC, the Superior General of Bethany Ashram as its first Bishop. Archbishop Benedict Mar Gregorios ordained him with the name Cyril Mar Baselios on 28 December 1978. The new Eparchy was officially inaugurated on 2 February 1979. Most Rev. Isaac Mar Yoohanon was appointed Bishop of Tiruvalla to succeed Most Rev. Zacharias Mar Athanasios and was ordained a Bishop by Archbishop Benedict Mar Gregorios on 28 December 1978. The Golden Jubilee of the Reunion Movement of the Syro-Malankara Catholic Church was celebrated in Kottayam on 26, 27 and 28 December 1980. His Eminence Wladyslaw Cardinal Rubin, the then Prefect of the Congregation for the Oriental Churches was the Papal Delegate for the Jubilee. Other eminent participants included His Beatitude Maximos V Hakim, the Patriarch of Antioch and all the East of Alexandria and Jerusalem, His Grace Most Rev. Luciano Storero, the then Apostolic Pro-Nuncio to India and Mother Teresa of Calcutta. His Excellency Lawrence Mar Ephrem was consecrated Bishop as the Auxiliary Bishop of the Archieparchy of Trivandrum by Archbishop Benedict Mar Gregorios on 27 December 1980. A significant development of this period is the organisation of the Syro-Malankara Catholic Faithful in India, outside the canonical territorial boundaries of the Church. From being organized as Malankara Catholic Associations, the communities of our faithful living in the Metropolitan cities of India came to be erected as personal parish communities. It was the long cherished dream of the Syro-Malankara Catholic Church to have a Major Seminary of its own for the formation of its clergy. St. Mary’s Malankara Major Seminary was inaugurated at Pattom on 29 June 1983 with Philosophy course and afterwards it was shifted to the new building at Nalanchira, Trivandrum, which was blessed on 25 May 1989. The Syro-Malankara Catholic Church was fortunate to welcome His Holiness Pope John Paul II on 8 February 1986 at St. Mary’s Cathedral, Pattom, Trivandrum. His Holiness was accorded a cordial reception by the Church by the entire Malankara Catholic Hierarchy, representatives of clergy, religious and laity. At 3.30 pm the Supreme Pontiff was garlanded at the entrance of the Cathedral by His Grace Benedict Mar Gregorios, the Metropolitan Archbishop and was received to the Cathedral with liturgical reception by the Bishops of the Syro-Malankara Catholic Church. His Holiness prayed at the Sanctuary. After the welcome speech of His Grace Mar Gregorios, the Holy Father gave his speech. Later His Holiness addressed the whole Catholic community from Trivandrum and the neighbouring districts at Shankumukham beach. In his memorable speech at Shankhumukham, the Holy Father praised the heroic leadership of Mar Ivanios of revered memory and the ecclesial significance of the Syro-Malankara Reunion Movement (L’Osservatore Romano, Feb.17, 1986). Following the visit of Pope John Paul II, His Eminence Cardinal Lourdusamy, the then Prefect of the Congregation for the Oriental Churches, visited the Syro-Malankara Catholic Church on 18 and 19 August 1987. Most Rev. Isaac Mar Yoohanon entered into eternal rest on 28 April 1987. Most Rev. Geevarghese Mar Timotheos was ordained a Bishop by Archbishop Benedict Mar Gregorios on 6 August 1988 and succeeded Mar Yoohanon in the Eparchy of Tiruvalla. His Grace the Metropolitan-Archbishop Mar Gregorios was called to eternal rest on 10 October 1994 after an eventful service of 41 years and was entombed on 12th October at the side of his great predecessor at St.Mary’s Cathedral, Pattom. It is to be specially mentioned that His Grace Mar Gregorios participated in all sessions of the Second Vatican Council and the subsequent Synod of Bishops in Rome. He served as President of the Catholic Bishops’ Conference of India in 1988-1989. During the vacancy of the Metropolitan See, His Excellency Cyril Mar Baselios, the Bishop of Bathery by virtue of CCEO c. 173 § 1 took up the administration of the Church. His Holiness Pope John Paul II appointed His Excellency Most Rev. Cyril Mar Baselios, as the successor of His Grace Benedict Mar Gregorios in November 1994. He was enthroned as Metropolitan-Archbishop of Trivandrum and as the Head of the Syro-Malankara Catholic Church on 14 December 1995. His Grace visited His Holiness Pope John Paul II and received the sacred pallium on 9th January, 1996 at Vatican. His Excellency Geevarghese Mar Divannasios was consecrated and installed Bishop of Bathery by Archbishop Cyril Mar Baselios on 5 February 1996 at St.Thomas Cathedral, Bathery. His Eminence Achille Cardinal Silvestrini, Prefect of the Congregation for the Oriental Churches, visited the Syro-Malankara Catholic Church on 11, 12 and 13 February 1996. On the request of His Grace Most Rev. Cyril Mar Baselios, by the Apostolic Bull dated 16 December 1996, His Holiness Pope John Paul II erected the Eparchy of Marthandom bifurcating the Metropolitan Eparchy of Trivandrum. Most Rev. Lawrence Mar Ephraem, the Protosyncellus of the Archieparchy of Trivandrum, was appointed as its first Bishop. His Grace Cyril Mar Baselios, the Metropolitan Archbishop officiated the inauguration of the new Eparchy and the installation of His Excellency Lawrence Mar Ephream at Christuraja Church, Marthandom on 23 January 1997. The territorial boundary of the Eparchy of Marthandom extends to Kanyakumari in the south, Kalikavilai in the west, Kavalkinar in the north and Kumarapuram in the east. After a few months, His Excellency Lawrence Mar Ephraem was called to eternal rest, on 8 April 1997 and was buried at Christuraja Cathedral, Marthandam. In the mean time the Eparchy of Tiruvalla was blessed with an Auxiliary Bishop in the person of Most Rev. Dr. Thomas Mar Koorilos. He was consecrated Bishop by His Excellency Geevarghese Mar Timotheos on 17 July 1997 at St.John’s Cathedral, Tiruvalla. With the appointment of Rev. Dr. John Berchmans OIC on December 26, 1997 as the Co-Ordinator of the Malankara Catholic Communities in the Extra-territorial regions in India by the Metropolitan Archbishop of the Syro-Malankara Catholic Church, the ecclesial life of these parish communities was coordinated. Most Rev. Yoohanon Mar Chrysostom was consecrated as Bishop of Marthandom and Joshua Mar Ignathios as the Auxiliary Bishop of the Metropolitan Eparchy of Trivandrum by Archbishop Cyril Mar Baselios at Mar Ivanios Stadium, Nalanchira on 29 June 1998. Most Rev. Yoohanon Mar Chrysostom was enthroned as the second Bishop of the Eparchy of Marthandom on 1 July 1998 at Christuraja Cathedral, by His Grace Cyril Mar Baselios. His Excellency Paulos Mar Philoxenos passed away on 3 November 1998 and was entombed at St. John’s Cathedral, Tiruvalla. A Great Jubilee Conference was organized by the Syro- Malankara Catholic Church in the Pope John Paul II auditorium of the Pontifical Urbanian University, Rome on November 20, 2000. His Eminence Achille Cardinal Silvestrini, Prefect of the Congregation for Oriental Churches presided over the Conference. His Eminence Roger Cardinal Marie Élie Etchegaray, the President of the Central Committee for the Great Jubilee, His Eminence Crescenzio Cardinal Sepe, the Prefect of the Congregation for the Evangelisation of Peoples, His Eminence Simon Cardinal Lourdusamy, Prefect Emeritus of the Congregation for the Oriental Churches and His Grace Metropolitan Archbishop Cyril Mar Baselios spoke on the occasion. The Holy Qurbono in Malankara- Syro Antiochene rite was celebrated on November 21, 2000, at the Basilica of Santa Maria in Trastevere in Rome, presided by His Beatitude Ignace Moussa I Daoud, Patriarch of the Syro-Antiochean Catholics and His Grace Cyril Mar Baselios, Metropolitan Archbishop of the Syro-Malankara Catholic Church. The dignitaries present at the Holy Mass were His Eminence Achille Cardinal Silvestrini, Prefect of the Congregation for the Oriental Churches, His Eminence Roger Cardinal Etchegaray, President of the Central Committee for the Great Jubilee 2000, His Eminence Simon Cardinal Lourdusamy, Prefect Emeritus of the Congregation for the Oriental Churches, His Grace Archbishop Stefan Miroslav Marusyn, Secretary of the Congregation for the Oriental Churches, His Excellency Bishop Emile Eid, Procurator in Rome of the Antiochean Maronite Church, His Excellency Bishop Vertan Boghossian of the Armenian Catholics in Latin America and Prof. Andrea Riccardi, the Founder of Sant’Egidio Community. Christu Jayanthi Maha Jubilee (Great Jubilee of the Birth of our Lord Jesus Christ) and the Sapthathy of the Re-union Movement of the Syro-Malankara Catholic Church were celebrated jointly at Tiruvalla on 26, 27 and 28 December 2000. His Beatitude Ignace Moussa Daoud, the Prefect of the Congregation for the Oriental Churches was the Chief Guest for the Celebration. In response to the request of the Syro-Malankara Catholic Faithful in Doha and Dubai, the Major Archbishop-Catholicos appointed resident priests in those countries for the pastoral care. A significant development in this period has been the establishment of parishes for the faithful of the Syro-Malankara Catholic Church in the United States of America. The Holy Father John Paul II appointed Rt. Rev. Msgr. Isaac Thottunkal, the Proto Syncellus of Bathery, as Apostolic Visitor for the Syro-Malankarites residing in North America and Europe and the Auxiliary Bishop of Trivandrum on 18 June 2001. He was ordained a bishop by Metropolitan Archbishop Cyril Mar Baselios at Mar Ivanios Nagar, Tirumoolapuram, Tiruvalla with the name Isaac Mar Cleemis on 15 August 2001. His Excellency Isaac Mar Cleemis started his Episcopal Ministry in North America residing at various American Rectories. By the providence of God the Church could acquire a house in Hillside Avenue, New York in 2002. The house was named as Mar Ivanios Malankara Catholic Centre. It is being used as the office of the Apostolic Visitor and the headquarters of North American ecclesial activities of the Syro-Malankara Catholic Church. Upon the request of His Excellency Geevarghese Mar Timotheos the Holy See established the Eparchy of Muvattupuzha, bifurcating the Eparchy of Tiruvalla, on 15 January 2003, which includes the civil districts of Ernakulam, Thrissur and Palakkad of Kerala State and civil districts of Coimbatore and Thiruchirapally of Tamil Nadu. Most Rev. Thomas Mar Koorilos was appointed first Bishop of Muvattupuzha. The installation of Most Rev. Thomas Mar Koorilos and the official inauguration of the Eparchy took place on 6 February 2003. Most Rev. Joseph Mar Thomas was appointed as the Auxiliary Bishop of Trivandrum and Apostolic Visitor to North America and Europe on January 5, 2005. 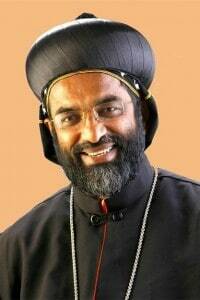 He was ordained Bishop by Major Archbishop-Catholicos Moran Mor Cyril Baselios on 19 February 2005 at St. Mary’s Cathedral, Pattom, Trivandrum. During his Episcopal Ministry in the United States he acquired another house adjacent to Mar Ivanios Centre and was named as Mar Baselios Pastoral Centre. During this period four young students joined the seminary for priestly formation for the Syro-Malankara Catholic Missions in USA. On 10 February 2005, a day engraved in golden letters in the history of the Syro-Malankara Catholic Church, His Holiness Pope John Paul II raised this Church to the status of a Major Archiepiscopal Church and appointed the then Metropolitan Archbishop as Major Archbishop of the Syro-Malankara Catholic Church through the Papal Bull Ab ipso Sancto Thoma. His Grace Pedro Lopez Quintana, the Apostolic Nuncio in India read the official declaration at St. Mary’s Metropolitan Cathedral, Trivandrum. This was the crowing event of all the ecclesial communion endeavours since 1653. With this, the Malankara Catholic Church obtained a Synodal hierarchical structure with Major Archbishop as the “father and head” (pater et caput) of the Church exercising Patriarchal powers with the Synod of Bishops. In accordance with the provisions of the CCEO and the tradition of the Malankara Church, which has its roots in the Syro-Antiochene tradition, the Major Archbishop is the “Catholicos” of the Syro-Malankara Catholic Church, who with the Holy Episcopal Synod exercises Patriarchal powers envisaged in the CCEO (Pope Pius XII, Motu proprio, Cleri sanctitati, AAS 49 (1957) 430-603, c. 335). In complete concordance with this tradition, the pater et caput of the Syro-Malankara Catholic Major Archiepiscopal Church assumed the title ‘Catholicos’ along with the title Major Archbishop. The Faculty of Theology of St. Mary’s Malankara Seminary got affiliated to the Pontifical Urbanian University, Rome, on 11 April 2005. The enthronement of Major Archbishop-Catholicos Moran Mor Cyril Baselios, as the Father and Head of the Syro-Malankara Catholic Major Archiepiscopal Church was on 14 May 2005. His Eminence Ignace Cardinal Mousa Daoud, the Prefect of the Congregation for the Oriental Churches presided over the liturgy of enthronement. His Grace Pedro Lopez Quintana, the Apostolic Nuncio in India, was present at the enthronement ceremony. The Malankara Major Archiepiscopal Curia (Catholicate Centre) started functioning at the St. Mary’s Campus, Pattom, Trivandrum. On 20 May 2005 His Beatitude Moran Mor Cyril Baselios Catholicos blessed the Curia building. The Catholicos soon constituted the Holy Episcopal Synod. The first Synod of the Syro-Malankara Catholic Church was convened from 16 to 18 August 2005 at the Major Archiepiscopal Curia (Catholicate Centre), Trivandrum. As per the decision of the Second Holy Episcopal Synod and in consultation with the Holy See, the Major Archbishop-Catholicos established the Metropolitan Province of Tiruvalla with the Eparchies of Bathery and Muvattupuzha as suffragans on 15 May 2006 and Most Rev. Isaac Mar Cleemis was appointed as the Metropolitan-Archbishop of Tiruvalla. Most Rev. Isaac Mar Cleemis was enthroned as the first Metropolitan-Archbishop of Tiruvalla on 10 June 2006. According to the decision of the Holy Episcopal Synod of the Syro-Malankara Catholic Church, His Beatitude Moran Mor Cyril Baselios Catholicos erected the Eparchy of Mavelikara, bifurcating the Major Archieparchy of Trivandrum, on 1 January 2007. His Excellency Most Rev. Dr. Joshua Mar Ignathios, the Auxiliary Bishop of Trivandrum was transferred and was appointed the first Bishop of the Eparchy of Mavelikara. The Eparchy of Mavelikara comprises the prebsyteral districts of Mavelikakra and Kollam and parts of the presbyteral districts of Chengannur and Adoor. This includes with the civil districts of Alapuzha minus the portions that belong to the Archdiocese of Tiruvalla and parts of the civil districts of Kollam and Pathanamthitta. The Second Ordinary Holy Episcopal Synod was convoked on 6-7 December 2006 and it was decided to revive the ministerial titles of Ramban and Corepiscopo which were in vogue in the Church and to honour a few priests for their meritorious service in the Church. His Grace Most Rev. Dr. Isaac Mar Cleemis, the Metropolitan Archbishop of Tiruvalla, conferred the titles on Saturday, 13 January 2007 on three priests at St. John’s Cathedral, Tiruvalla and Moran Mor Cyril Baselios Catholicos conferred these titles on ten priests on 17 January, 2007 at St. Mary’s Cathedral, Pattom. The official inauguration of the Eparchy of Mavelikara and the Installation of His Excellency Most Rev. Joshua Mar Ignathios as its Bishop were held at St.Mary’s Church, Punnamood, Mavelikara on 16 February 2007. The Holy Qurbono was celebrated by the newly elected Major Archbishop-Catholicos and the Installation was officiated by the Administrator of the Church His Excellency Most Rev. Dr. Geevarghese Mar Divannasios. The 77th Reunion Day celebrations, the Platinum Jubilee of the reconstitution of the Hierarchy of the Malankara Church in Catholic Communion and the Golden Jubilee of the Immigration of the Malankarites to Malabar were celebrated at Kodencherry in the Eparchy of Bathery from 19 to 21 September 2007. As per the decision of the Sixth Holy Episcopal Synod convoked from 15 to 17 July, 2008, His Beatitude Moran Mor Baselios Cleemis Catholicos in the presence of other Bishops announced the decision of the respective Eparchial Bishops to bestow the title Bar Itho Kasiro (the Diligent Son of the Church) on 13 lay men and Barz Itho Kasirtho (the Diligent Daughter of the Church) on 8 lay women for their meritorious service in the life and mission of the Church, on 21 September, 2008. The Silver Jubilee of the establishment of the Malankara Major Seminary was celebrated from 29 June 2007 to 29 June 2008. His Eminenece Varkey Cardinal Vithayathil, the Major Archbishop of the Syro-Malabar Church was the chief guest. As per the election of the Holy Episcopal Synod and with the assent of the Holy Father Pope Benedict XVI, the Major Archbishop-Catholicos appointed Most Rev. Abraham Mar Julios as the Bishop of Muvattupuzha on 18 January 2008. He was ordained and installed Eparchial Bishop at the St. Joseph’s Cathedral, Muvattupuzha on 9 February 2008 by His Beatitude Moran Mor Baselios Cleemis Catholicos. The foundation stone of the Catholicate Center (Major Archiepiscopal Curia) was laid by Moran Mor Baselios Cleemis, the Major Archbishop-Catholicos on 18 January 2008 which was blessed by His Eminence Ignace Cardinal Mousa Daoud, the Prefect of the Congregation for the Oriental Churches on 15 May 2005. From 20 to 26 September 2009, His Beatitude Moran Mor Ignace Yousuf III Younan, the Patriarch of the Syrian Catholic Church of Antioch, Baghdad Archbishop Mattishaba Matoka and Ninave Archbishop George Qas Moussa and delegates from the same church visited the Syro-Malankara Catholic Church. The 79th anniversary of the Re-union event and the Platinum Jubilee Celebrations of the inception of the Syro-Malankara Catholic Church in the district of Kanyakumari of Tamil Nadu State were celebrated as “Malankara Thirusabhai Sangamam”, at Mariagiri in the Eparchy of Marthandom from 19 to 21 September 2009. The Patriarch of the Syrian Catholic Church of Antioch was the Chief Guest. The silver Jubilee of the establishment of the Syro-Malankara Catholic Mission in North America was celebrated under the leadership of His Excellency Most Rev. Dr. Joseph Mar Thomas, Apostolic Visitor of North America and Europe during the Malankara Catholic Convention in Dallas on August 6-9, 2009. The Major Archbishop-Catholicos Moran Mor Baselios Cleemis and all the members of Syro-Malankara Catholic Hierarchy and Bishops from the American Church participated in the functions. His Excellency Most Rev. Dr.Vincent Mar Paulose was installed as the third Bishop of the Eparchy of Marthandom by His Beatitude Moran Mor Baselios Cleemis Catholicos on 14 March 2010 at Christu Raja Cathedral, Marthandam. The inauguration of the Eparchy of Pathanamthitta and the Installation of His Excellency Most Rev. Yoohanon Mar Chrysostom as the first Bishop of Pathanamthitta was officiated by Moran Mor Baselios Cleemis Catholicos at Cyril Baselios Catholicos Nagar (Municipal stadium) and Sacred Heart Church, Mylapra respectively on 20 March 2010. Moran Mor Baselios Cleemis Catholicos installed His Excellency Most Rev. Dr. Joseph Mar Thomas as the Bishop of Bathery at St.Thomas Cathedral, on 13 April 2010. The inauguration of the Eparchy of Puttur and the Installation of His Excellency Most Rev. Dr. Geevarghese Mar Divannasios was officiated by Moran Mor Baselios Cleemis Catholicos at St.Mary’s Malankara Catholic Church, Ichilampady, on 15 April 2010. At the request of the Holy Episcopal Synod of the Syro-Malankara Catholic Church, on 14 July 2010 Holy Father Pope Benedict XVI erected the Apostolic Exarchate in the United States of America for the Syro-Malankarites in the USA and appointed Rev. Dr. Thomas Naickamparambil, as the first Bishop of the new Exarchate and Apostolic Visitor to Canada and Europe. Rt. Rev. Naickamparambil Thomas Remban was ordained Bishop with the name Thomas Mar Eusebius by His Beatitude Moran Mor Baselios Cleemis Catholicos at St.Mary’s Cathedral, Pattom, on 21 September 2010. The 80th Reunion Day celebrations were held at St. Mary’s Cathedral, Pattom, Trivandrum from 20 to 21 September 2010. The inauguration of the Exarchate in USA and the Insallation of His Excellency Most Rev. Dr. Thomas Mar Eusebius as its first Bishop and the Apostolic Visitor to Canada and Europe were held at Emmanuel Marianist Retreat Centre, Uniondale, New York by His Beatitude Moran Mor Baselios Cleemis Catholicos on 3 October 2010. Many Bishops including the Archbishop of New York, His Grace Timothy Dolan, Most Rev.William Murphy, Bishop of Rockville Centre and priests, sisters, layfaithful and well wishers from the various American dioceses and representatives from the sister churches participated in the functions.